Timothy Curtis McMorris was born in Windsor, Ontario, Canada on February 21, 1982 to Melvin (1953-2014) and Erica McMorris (1955) and is the oldest of their children. He has one sibling, Stephanie (1986). During his early life, his mother left her career in nursing to focus on their young family while his father worked for Chrysler automotive company. His father, who had been an active musician in Detroit during the Motown era, also played bass guitar and performed with local musicians around the Windsor/Detroit area throughout McMorris’ early years. He continued playing and producing other artists throughout the eighties, nineties and early two-thousands. His father’s “gigging” and producing done in the small basement recording studio of their Windsor townhouse was McMorris’ introduction to the world of music. At the age of five he received his first musical instrument, a ukulele, from his parents. In 1988 McMorris was enrolled into kindergarten at Eastwood Public School in Windsor for a short time before relocating with his family to Belle River, Ontario, later that August. He attended Belle River Public school for the remainder of the primary public school years (1-8). During the same period of time, his family would build a larger studio in the basement of their new home, and start their own independent record label: “Megtm Records”. Megtm Records continued to operate until 2006. At the age of ten McMorris was introduced to the trumpet and was persuaded to join the school band by his music teacher after learning to play “Go Tell Aunt Rhodie” composed by Jean-Jacques Rousseau (popularized by Burl Ives). 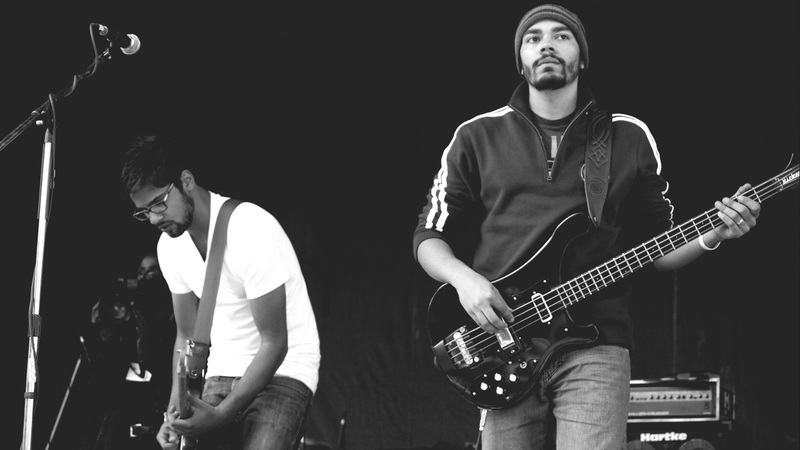 In 1996 at the age of fourteen, McMorris took a serious interest in bass guitar and started playing regularly during his first year at Belle River District High School. It seemed he was following in the footsteps of his father. A year later however, after hearing All Along The Watchtower (Jimi Hendrix) on the radio, McMorris immediately asked his parents to help him purchase an electric guitar. Within a few months he had his first guitar; an all black Fender Stratocaster. During that first year he began writing instrumental songs. Over the next four years, McMorris devoted large amounts of time to learning to play “by ear“, and would imitate songs from the albums of Jimi Hendrix, Bob Marley, The Beatles, Cream, The Doors, and Led Zepplin. So much time was devoted to playing that when found sleeping, he would often still have his guitar in one hand or next to him in bed. With an evolving musical taste, and frustrated with the lack of vocalists in his circles, he decided to start singing regularly. 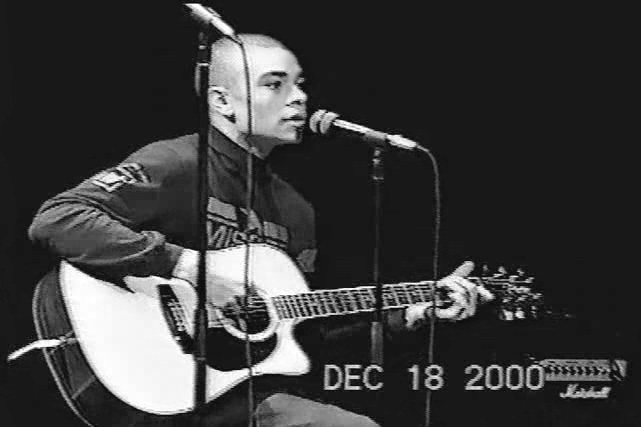 By the end of 1998 McMorris was writing songs with lyrics to match. This eventually led to the purchase of a Takamine acoustic guitar as he explored new ideas and the world of the singer/songwriter. Soon after, McMorris could be found performing at coffee houses and talent shows, while playing with various local musicians and friends around the Belle River and Windsor areas. Though his passion for composing and performing was evident throughout his high school years, McMorris’ school guidance counselors did not share his “enthusiasm or vision for the future“, and he was greatly discouraged from pursuing a career in music. 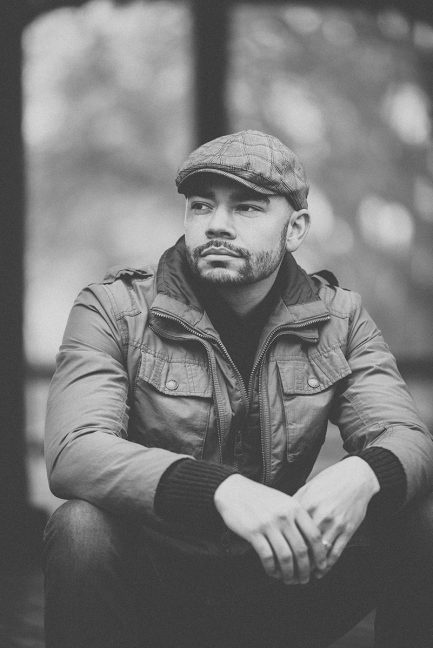 Upon exiting high school, against a counselor’s advice he turned down a scholarship awarded to him to attend Waterloo University for Computer Science to continue pursuing his musical ambitions. 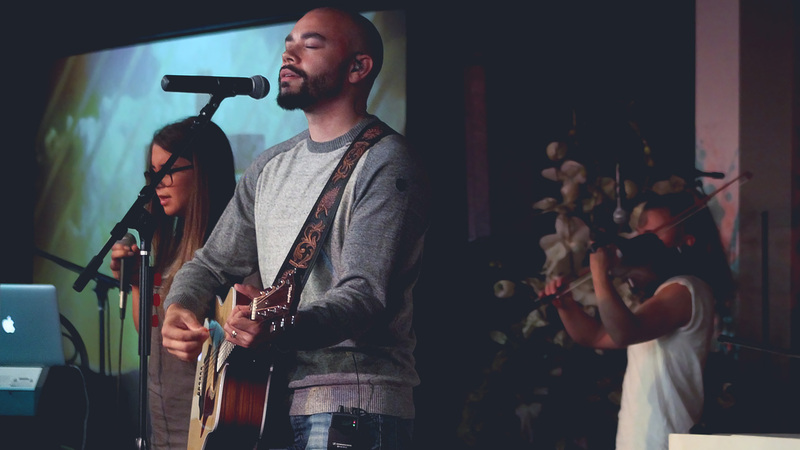 Since 2000 McMorris has been involved with local churches and has participated in numerous Christian events. In 2009 he began to play bass guitar with a group of local artists which eventually became the group known today as Light City Music. In late 2001 at the age of nineteen, “looking for independence and a steady source of income“, McMorris entered the workforce full time as an assembly line operator at Quality Safety Systems in Tecumseh, Ontario. He was terminated before his one year anniversary there. McMorris claims that a group of then co-workers conspired against him, and that he had been wrongfully terminated. In 2002 McMorris started work with the injection molding company Moldplas (now A.P Plasman) as a machine operator. He rose to the rank of group leader before leaving the company in 2007 to move closer to Toronto. On December 26, 2001 McMorris was introduced to (then) Khaili Conway, who was visiting Canada from England on vacation. Their connection was so immediate that she postponed her return flight home. They became friends both traveling between Europe and North America multiple times before she moved to Canada in late 2002. 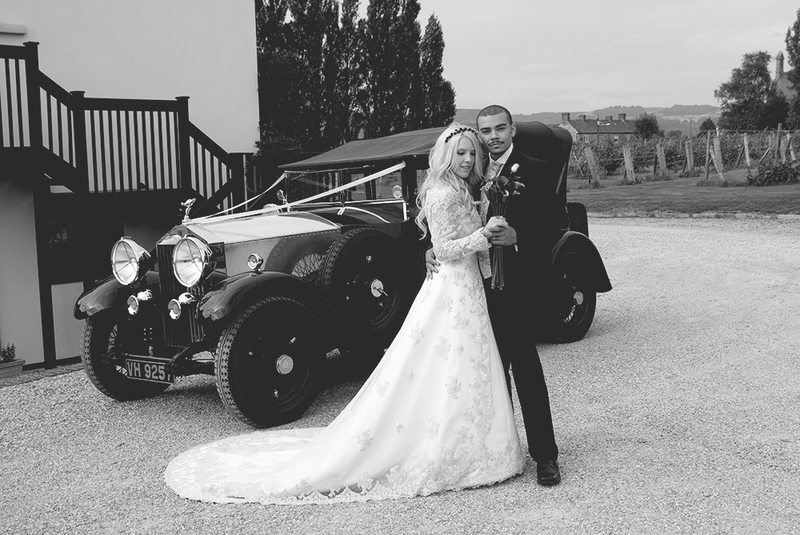 The two fell in love and on August 4, 2006 they were married in Somerset, England. Since the early stages of their relationship McMorris and his wife have been co-writing material and recording together. On January 20, 2015 McMorris’ wife gave birth to their first child Willow. In 2004 McMorris’ father began to show signs of an emerging and serious (undiagnosed) health issue. Within one year he lost his ability to walk, and was then diagnosed with an aggressive form of Multiple Sclerosis. McMorris’ mother would become his father’s full time caregiver. The deterioration of his health was “a great time of pain and hardship” for the family. Due to a continual deterioration of McMorris’ father’s health, MEGTM Records was soon forced to close down permanently causing great financial difficulty for the family. In addition to his father’s poor health and the family’s financial crisis, McMorris’ was faced with a personal problem of his own: He would no longer be able to learn the ropes of music production from his father. “The tragic irony of the situation was unbelievable. I had a father with over 30 years of experience in music production and a recording studio in my parent’s home, and both had become inaccessible to me precisely at the time I would have started recording. My dad and I had talked about this moment, and we had a loose plan to start recording some of my material while he would teach me how to really use the studio. Of course I had been in the studio many times as a spectator so to speak, or to play some of the instruments when my dad wasn’t working, but I was never there as an artist. That point hadn’t come yet. The equipment was complicated and had a steep learning curve to operate. The digital era was also on the rise and all of the equipment was analog. Without any formal training or education, I tried over time to make it work and record there, but it just never came together. It was too difficult on my own. 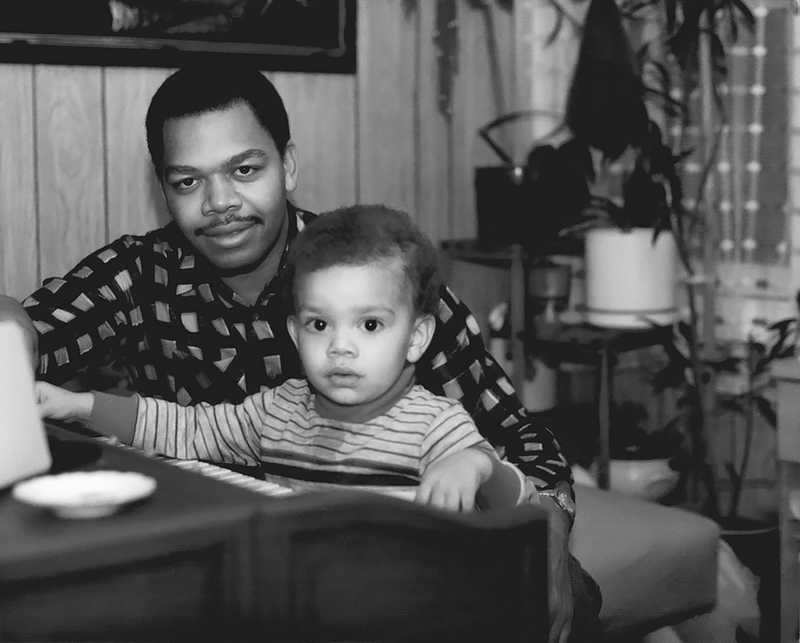 Over the next year it really dawned upon me: If I was going to actually go after a career in music, it was going to have to be from the ground up, in the digital era, without much help , and worst of all – without my dad by my side. It wasn’t going to be MEGTM and I wasn’t going to be able to build on my father’s connections. It was literally starting over. After many years of being bed-ridden from Multiple Sclerosis, McMorris’ father died from complications during surgery on December 3, 2014 at the age of 61. “After seeing the relationship my parents had with major labels, and how they were treated, it wasn’t the route I wanted to go. I did my best to think into the future about where I wanted to be and started deconstructing it working backwards. When I stripped everything away, I came to the conclusion that I mainly needed three things. Firstly, I needed to learn. I needed information and knowledge. If I was going to accomplish anything in the world of music I needed to know a lot more than I did. Some of the information was technical, some was practical and some was business related. I didn’t know how I was going to obtain that information and knowledge at the time necessarily, whether through my own research or formal education, however I knew that without it there was no way I was going to succeed. Secondly, I needed to gather resources. I needed equipment and I needed finances. I began to work very diligently, and at work I took as much overtime as I could handle. Whatever Khaili and I didn’t need to live on we saved up and spent on equipment, or subscriptions and online services that related to furthering the music agenda. Lastly, there was a time to take the knowledge and resources that had been gathered (making a plan) and making a push for a higher place then I was at. Sometimes you haven’t learned and gathered enough and you try to grow too early. It’s frustrating as it seems to waste time, energy and resources, but it’s all a learning process. As long as you learn from something, I never see it as wasted. Sometimes you just have to take a few stabs at it before it works. Just because something won’t work for you the first few times you try, doesn’t mean it will never work. Desiring a place of his own to start recording material he had accumulated over the years, McMorris and his wife decided to construct a recording studio in the basement of their small home: “I called it a ‘studio’, but in reality that was a very generous word for the space. It was located in a cramped closed off section of our basement, not even the entire space, and had a six foot high ceiling. I had to duck every time I stood up. Professional studio foam was too expensive for us back then, so I purchased a few boxes of cork board and fastened them to the walls to control reflections in the room. Regardless of the small space and tight budget however, I was able to make it work. It could fit a few instruments, a work desk and even a really small couch in the corner. It wasn’t the best space – but it was my space. I recorded my first release Hurting Land in that basement studio in 2007. It was the very first song I had ever released on iTunes, and back then it was a lot harder to get on digital stores. It wasn’t the first song I had ever recorded, I had been experimenting for years at this point and had a lot of demos. It was just the first thing I recorded that I thought was decent enough to let other people hear! McMorris completed a small catalog of recordings at his first studio. Of everything recorded at his Windsor, Ontario, home however, only Hurting Land was ever released to the public. In early 2007, in pursuit of work in the music and entertainment industries, McMorris and his wife relocated to the Niagara Region in Ontario, where they lived with his mother in law. Their ultimate goal was to move to Toronto after a short stay. Struggling with income and transportation after leaving Windsor however, they decided to stay in the area where they had some support, and started work on a new plan. McMorris converted their upstairs bedroom into a place to continue recording and began on new material. After a brief period however it became apparent to him that he simply needed a larger work space. In late 2007 McMorris’ mother in law offered the basement of an unfinished commercial building that she owned as a place to record. “My mother in law Julie came to our rescue more than once over the years, and I’m really grateful for the help we had along the way. Many of the places that Khaili and I lived and rented were places she owned, and I use the term ‘rented’ loosely, as she would only charge us the little we could afford at the time. When you have a big dream it’s impossible to see it all the way through without anyone’s help. If you can always do it alone, I think the dream probably isn’t that big. The basement space of the commercial building I was offered to use was a vast unfinished space. It had concrete floors and walls and no heating or cooling. It was the winter and was literally freezing. As was the pattern for a while though, it was better than what I could do on my own, and was certainly better than nowhere to record at all! That same year McMorris joined the social music network Myspace where he began uploading and promoting existing recordings that had not been officially released. While a shadow of it’s former glory today, during this period of time MySpace was a very popular platform that brought real exposure to previously unknown artists and musicians. Within the next year McMorris’ account had gathered the attention of approximately 5,000 followers/fans. 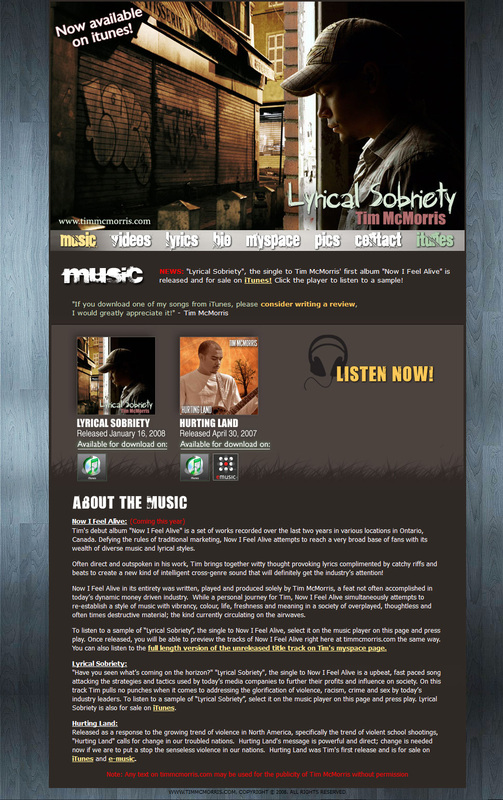 In addition to Myspace, McMorris created timmcmorris.com (view a screenshot from 2008) and began to reach out online to individuals and companies within the music industry in an attempt to make connections and inroads. In 2008 with momentum starting to build, McMorris and his wife relocated and moved into an apartment on the second story of a store-front building. McMorris immediately transformed a part of the space into a place to record. Besides music, McMorris had been a hobbyist photographer, and had a passion for photo editing and web design which he had done on and off over the years. To supplement their income, McMorris and his wife started a small web and graphic design company called UVisionWeb that worked with businesses in the Niagara Region. In January of 2009 McMorris began searching for additional ways to expose his music and name. Through research online he became interested in the idea of music licensing and started collecting information and articles on the mechanics of licensing and working with musical copyrights. McMorris would spend his days working on projects for UVisionWeb’s growing client base, and his nights online looking for outlets to license existing music material with the hopes of increasing exposure. While browsing a site called Flashden (which he used to purchase digital resources for UvisionWeb) he stumbled across a related site called AudioJungle. Flashden and AudioJungle both belonged to parent company Envato. It would seem that what McMorris was looking for had only been a few clicks away from him for a long time. AudioJungle was a young but growing music licensing website that seemed to be exactly the type of connection that McMorris had been looking for. After spending days listening through existing material on the website, McMorris believed that his music could compete on the music licensing marketplace. Still however, web design had become priority and it wasn’t until August 2010 that he uploaded his first music track to the marketplace; an instrumental entitled I Am Victorious. Within the same month McMorris uploaded his first vocal track, It’s A Beautiful Day, to the website. It was a release that would end up changing his life forever. Shortly after McMorris had uploaded It’s A Beautiful Day to the AudioJungle website he was contacted by staff with a notice that they would be featuring his work on the homepage of the marketplace. The feature sent a great wave of web traffic and interest to McMorris’ small portfolio, and sales began to surge. In early 2011 it was discovered that Adidas (Spain) and Toyota (Italy) had both licensed It’s A Beautiful day for two different advertising campaigns in their respective countries. Exposure from the ads again sent another wave of new clients and interest to McMorris’ portfolio. By the end of 2011, total licenses sold rose from a humble 331 (2010) to 4,629; an increase of 1,298%. McMorris decided it was time to “go all in” with music once again, and UVisionWeb was closed down permanently in early 2012 at the height of it’s success. With exposure and popularity growing exponentially, McMorris’ music starting showing up around the world in television and radio ads, documentaries, films, corporate presentations and youtube videos. Capitalizing on the momentum, McMorris continued to release new material regularly. By the end of 2012, of approximately 5,000 composer/producers on AudioJungle globally, McMorris had risen to the top selling spot. Together with his wife he purchased a home and a plot of land where they planned to build their own recording studio. As of 2015 McMorris’ music has been licensed more than 50,000 times on AudioJungle alone. Along with the explosion of interest on AudioJungle came opportunities for projects outside of AudioJungle too. From 2009 to 2011 McMorris took on many custom audio jobs and contracts as a sole proprietor under the name Tim McMorris Publishing. In the spring of 2012 McMorris signed a license agreement with Boston Beer Company Samuel Adams that secured his track Overwhelmed as the soundtrack to an upcoming nation-wide advertising campaign. 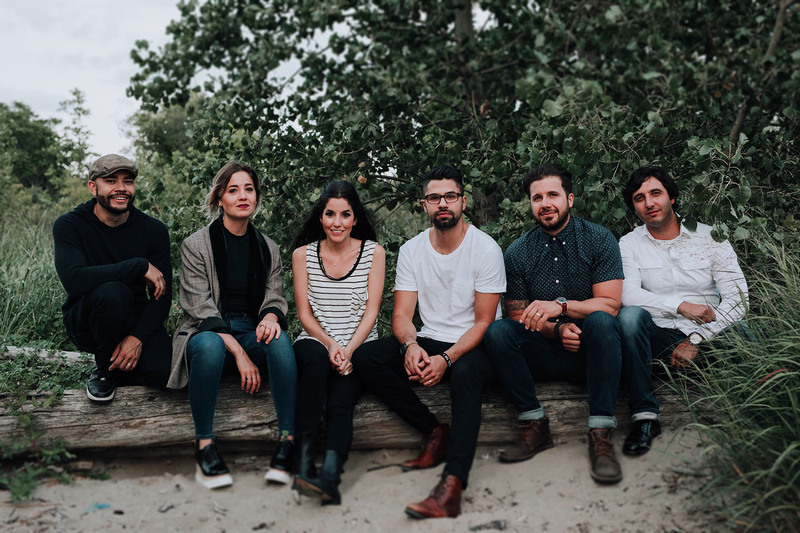 In July that same year, the Samuel Adam’s campaign along with the timely release of a music video sent the single soaring to #2 on the iTunes charts for singer/songwriter in the United States. During that period, Overwhelmed was only being outsold by Ed Sheeran’s hit single “The A Team”. The great success of the song and campaign gained the attention of major record labels, radio stations and even Billboard Magazine online in the United States, and brought a entire new fan base to McMorris’ work. Regardless of label interest however, McMorris decided to stay an independent artist. 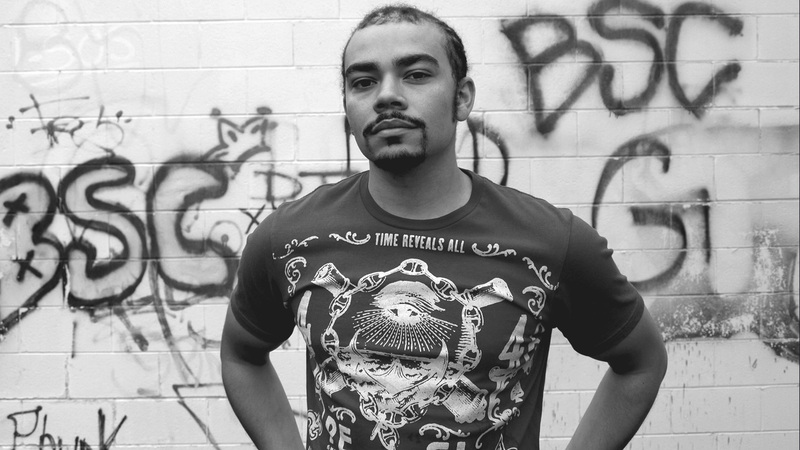 By late 2012 interest and demand for music became so great that McMorris and his wife formed and incorporated King’s Crown Productions to handle the new growth and unique opportunities/challenges that emerged. Today King’s Crown Productions is involved with every aspect of McMorris’ work including production, publishing, licensing, advertising and administration. With a loyal group of fans and a successful licensing operation in motion McMorris turned his focus once again to artistry and released his debut album ALIVE in 2014 and a follow up EP I’d Choose You Again in 2015. “With momentum and greater financial freedom, I could finally get back to the idea of releasing albums again. Production music and licensing was never really meant to be my MAIN thing, but the reality was that I wasn’t making enough money from single sales to live. Recording a full album at the time was also logistically and financially out of the question without the help of a label, and in that moment, I was either going to find another way or there wouldn’t be one. The production music and licensing helped to fill in the exposure and financial gap, and once that happened I had a lot more options available. Going forward now, I hope to release many more albums. There is still so much I have to say that I haven’t even scratched the surface of yet. I am grateful to be in the unique position I am in today, as I no longer have to choose between creating production music for licensing, scoring for TV and film and making music simply slated for an album release – I can do them all simultaneously. Co-founder of King’s Crown Productions Inc. Words that appear in quotations are directly from Tim McMorris. Hi Ti, wonderful songs. Your music give me emotions inside my heart. Hi, Tim☺I love you songs a lot, they really make my spirit so uplift and happy! Thank you! So glad that you and Khali are doing so well. Beautiful pictures of your family. Next time you are in Belle River, stop by to say hello. Hey Sue, so great to hear from you! :) We are very well thanks! You bet, if we are ever by that way we will take you up on the offer. Hello Tim. I have been loving your music ever since i discovered you. Me and my girlfriend love your songs! With that said, it's a long shot, but i was wondering and hope if you can help me out and personally play some songs for my proposal that i will do soon...I would appreciate it and it'll be a day nobody will forget! Hello Tim, I think "On Top Of The World" is your best song, it's amazing!!. Good luck from Italy!!! Estou te conhecendo hoje através de pesquisa na internet, porém sua caminhada até aqui já é uma inspiração para mim, que Deus continue abençoando você, sua família e sua carreira musical! Wow, three hours! Thanks pretty amazing :) I better release some more hip hop tracks. To tell you the truth, it's something I've been planning for a while now. Thanks for the support! Thanks for sharing your story! I sincerely found it honest, heartwarming, informative and educational. Congratulations on all your success and may God bless you and your family! Thank you for reading and for your support :) God bless you as well! 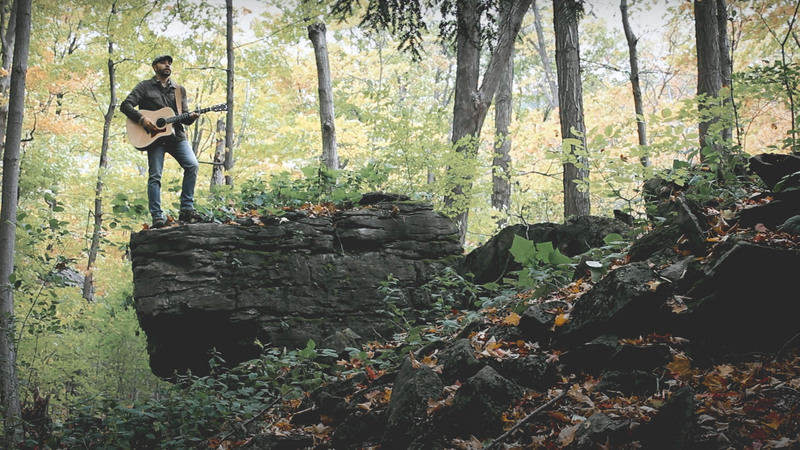 Tim McMorris your music is amazing. I have been a fan since the Myspace days and I respect how much you have grown as an artist. Wow man, I remember you Demarcus! You're unique name definitely helped :) So cool that your still hanging around and coming to check in now and again. I can't tell you how much I appreciate that. Thanks for your support all along the way! Things have certainly grown a lot since MySpace, but I'll never forget those who gave me support even then. Thanks my friend, and I'm thrilled you are still around! Thanks for the kind words and support, I appreciate it very much! 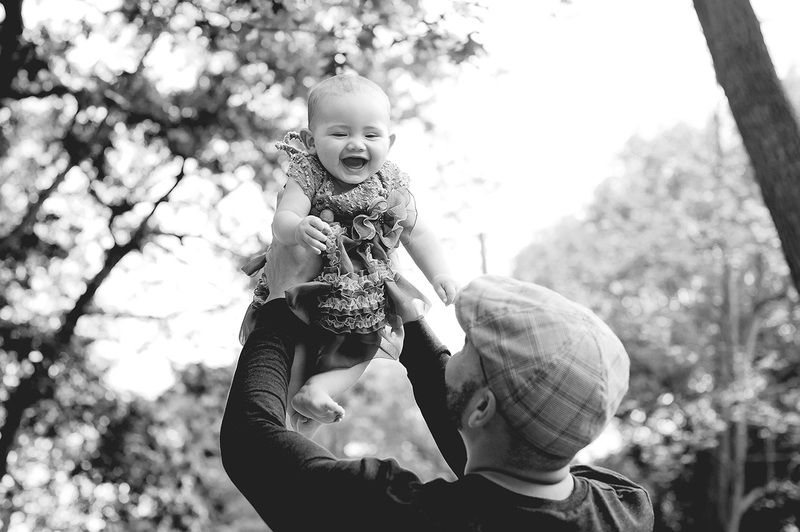 Tim is a very talented young man, a devoted husband and loving father.